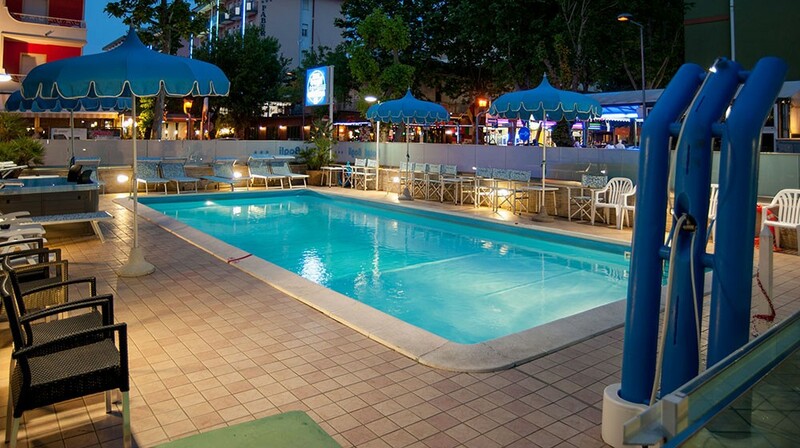 The Hotels, the Bagli and Cristina offer many services to its guests guaranteeing a holiday in Rivazzurra of Rimini, at the sign of tranquillity and relaxation. The beautiful swimming pool is definitely one of the strengths of our facilities, where every day you carry out the entertainment activities including fun aqua aerobics and games for children and not only! For moments of relaxation there is also a large living room, a TV room, the terrace café and the elegant air conditioned dining room. Among the services available you can also find free wi-fi, a rooftop sun deck and bicycles. 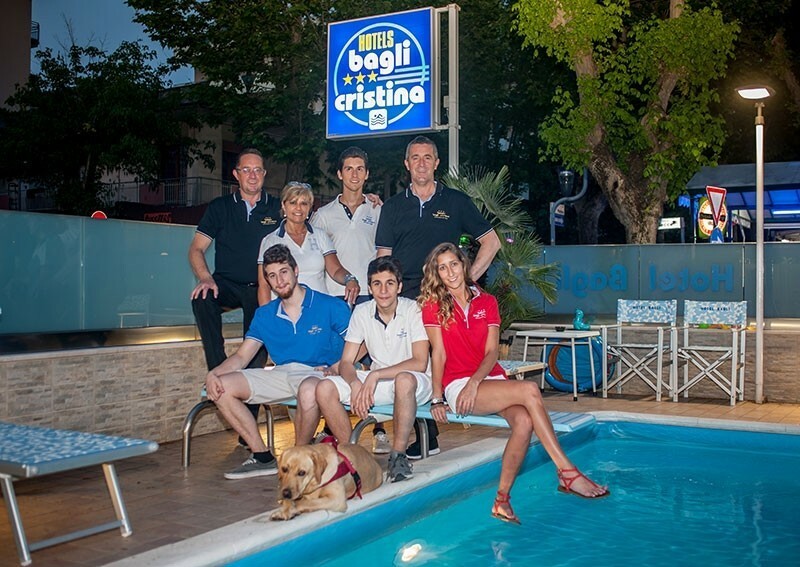 Weekly Hotels Bagli and Cristina offer to all guests aperitifs of the house and there are regular parties in the swimming pool, suitable for adults and children. The festivities do not end up in Hotels, but continues also on the beach, to spend unforgettable evenings barefoot in the sand! Great deals, where you can share pleasant moments of joy and maybe make new friends, rediscover year after year during the holidays in Rimini. Many of our guests, in fact, during their stay in our hotels, they have become friends of our family, and often friends between them, creating funny "brigades of the holidays" to make the stay truly unique! 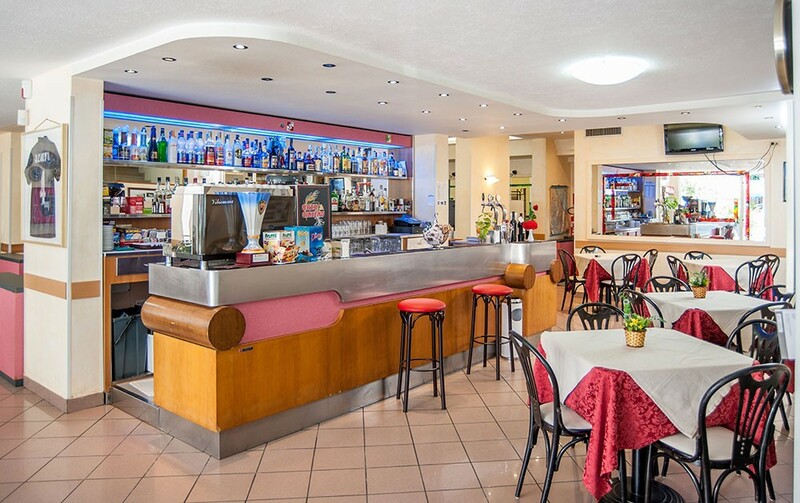 The parking of the Hotels Bagli and Cristina is free, ideal for those traveling by car and you want to forget the car, traffic and parking during your holiday: when you arrive at the hotel you can park your car and forget about it until your departure! For all animal lovers who want to visit the Romagna Riviera in the company of their 4 legged friends, in our hotels are welcome! Pets are allowed in any part of the hotel, excluding the restaurant, simply notify their presence during the booking. One of our strengths are definitely our cocktails and appetizers that accompany the days of the guests with cool cocktails at the poolside soaking up the sun, or to refresh the warm summer evenings with a pinch of panache and lots of tasty recipes for appetizers to suit all tastes. 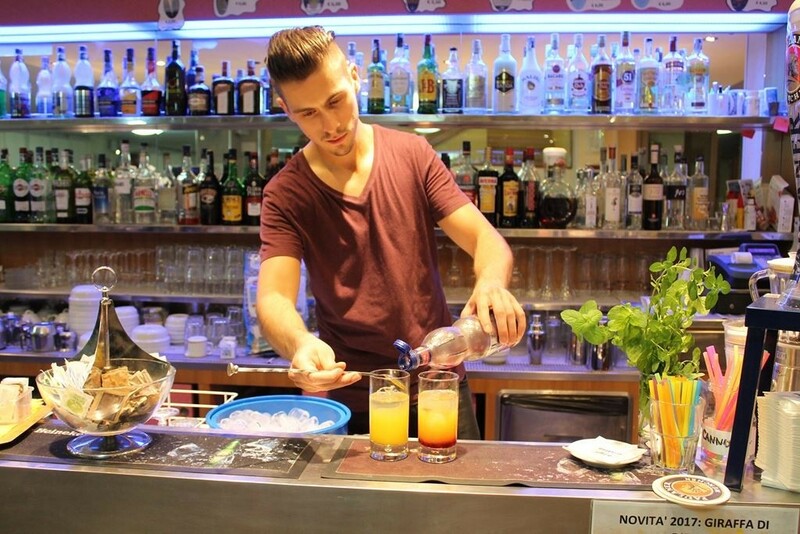 Stefano and Alessandro await you at the bar every day, for you to enjoy always new proposals and recommend the cocktails are tasty, from the classics to the most original ones, alcoholic or non-alcoholic, really, for all your needs!